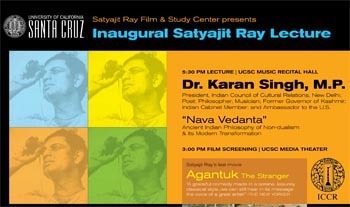 SANTA CRUZ, CA--Distinguished Indian statesman and diplomat Dr. Karan Singh will deliver the 2011 Satyajit Ray Lecture at UC Santa Cruz on Saturday, September 24, at 5:30 p.m. in the Music Recital Hall. 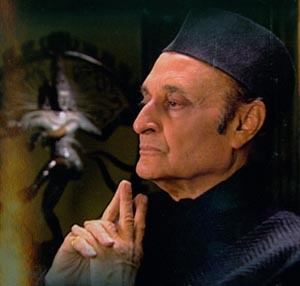 Recognized as one of India’s outstanding thinkers and leaders, Singh is the author of numerous books and has lectured widely—both in India and abroad--on political science, philosophy, education, religion and culture. A professor of history at UC Santa Cruz, Basu also teaches an annual upper division class titled " Cinema and History: Film Author Satyajit Ray."